Dancing Is Like Dreaming With Your Feet.' This beautiful quote about dancing will inspire you to get up and move. 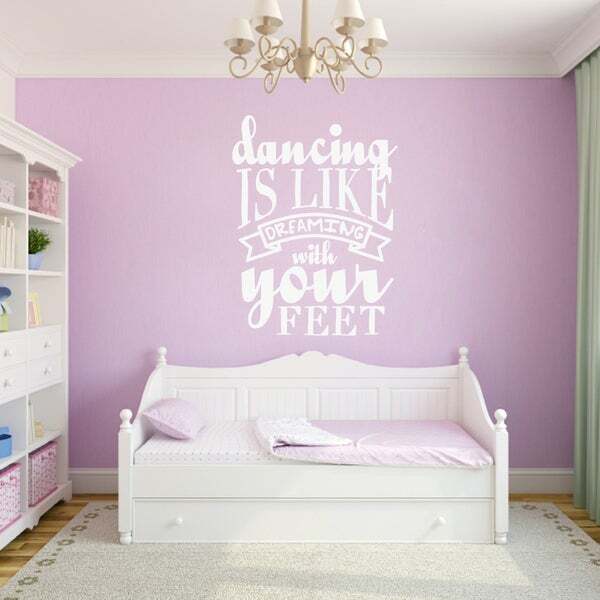 This decal is perfect for the bedroom of a dancer, or a dance studio. If you love ballet, hip-hop, jazz, cheerling and more, this decal will look perfect in your space. This size will come in two pieces for easier application.